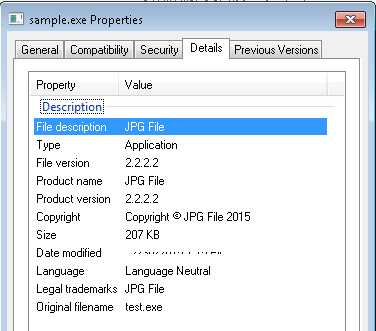 The Dell SonicWall Threats Research team has received reports of a data stealing Trojan described as a JPG file. Upon execution, the trojan steals information from the system and also capable of downloading more malware. It copies itself at the following location as explorer.exe to hide itself as a windows process. Once the CnC server is connected, it steals the following information and sends it to the server at port 5584. The system information is base64 encoded when sending to the server. Overall, this Trojan is capable of sending sensitive information out to a remote server.We urge our users to always be vigilant and cautious with any unsolicited attachments specially if you are not certain of the source.